Are you interested in knowing the progress of a specific ADRION funded project? Do you want to have a catchy presentation of its main objectives and aims? 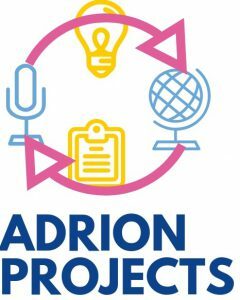 The ADRION Programme has just developed project websites for all the 35 funded projects. Information on areas of intervention, expected results, partnerships and budget are now available to be consulted easily. ADRION project websites have been designed in a harmonised way following the visual elements of the Programme. Project beneficiaries will have the opportunity to directly update the project website, making sure progress on the activities is timely noted and clearly presented. If you are interested in learning more, you can access our dedicated page here, where all websites have been grouped for your easy reference. ADRION is looking for an Electronic Monitoring System Officer for the Joint Secretariat based in Bologna (Italy). The eMS is a programme monitoring system with a communication portal. It allows ADRION to collect and store all necessary projects and programme information and communicate with beneficiaries electronically via a secure online communication portal. Deadline for application is 11th January 2019. Regions and cities are at the heart of most EU policies, considering that Cohesion Policy, the EU regional policy, accounts circa 34% of EU budget through public investments and financial allocations across a wide range of sectors in many regions of the European Union and beyond. The 16th edition of the EU Week of Regions and Cities (EWRC), taking place in Brussels from 8 to 11 October 2018, is the annual event dedicated to the EU regional policy jointly organised by the European Committee of the Regions (CoR) and the European Commission’s Directorate-General for Regional and Urban Policy (DG REGIO). If you want to discuss and learn more about the future of the EU regional policy, this is definitely the place to be. The event, organised under the headline of ‘For a strong EU Cohesion Policy beyond 2020‘, will gather more than 6000 stakeholders from different areas and countries with the aim of understanding what is currently at stake, especially in view of the post-2020 budget. Climate change, territorial development, youth, culture, social inclusion, employment, research and innovation are some of the thematic clusters that will be debated in more than 100 workshops organised in the frame of the event. In addition to that, the EWRC will be an opportunity to showcase projects funded by the main financial instruments of the EU regional policy. The Interreg transnational cooperation programmes have jointly organised the exhibition #MadewithInterreg at the AGORA exhibition hall. On the occasion, the ADRION Programme will present 4 projects covering environment, cultural heritage, transport and innovation. The project is jointly promoted and developed by 9 scientific and institutional partners of 4 countries (Italy, Croatia, Greece and Montenegro) and focuses on small-scale fishery and aquaculture which are two key drivers for blue and sustainable growth of Adriatic and Ionian communities. ARIEL aims to promote technological and non-technological methods for small-scale fisheries and aquaculture with the main goal to reduce negative impacts on marine habitats. ARIEL works with research, public and private actors to encourage the adoption of innovative fishing practices and solutions. QNeST stands for Quality Network on Sustainable Tourism. The project is focussed on the development of new quality tourism solutions, based on co-design processes involving key stakeholders at local and higher levels and the capitalisation of existing best practices related to sustainable tourism. To preserve and promote cultural heritage, QNeST will launch a common brand for the promotion of a quality sustainable tourism and will stimulate the creation of a network of Adriatic-Ionian actors and economic operators, active in or indirectly involved in the tourism sector. 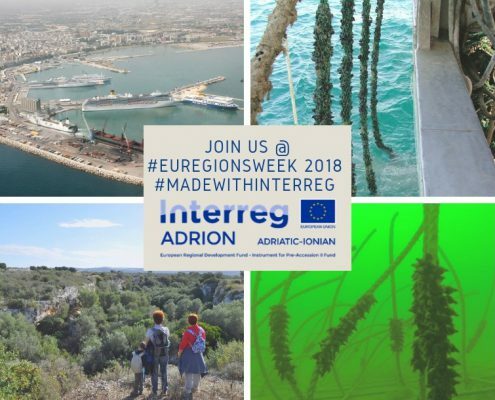 The project aims to share methodological approaches and data on marine contaminants to support a common strategy to assess Environmental Status and contaminant dispersion risk along the coast of the ADRION area. HarmoNIA is composed of a partnership led by the Italian Institute for Oceanography and Experimental Geophysics and including research institutes and public authorities from Albania, Croatia, Greece, Italy, Montenegro and Slovenia. The project will improve the coherence of protocols for monitoring and for the assessment of contaminants in the marine environment and will facilitate data and information exchange within the Adriatic and Ionian region. The project contributes to the implementation of sustainable transport and mobility solutions by supporting safe use of LNG (Liquefied Natural Gas), as a low-carbon clean fuel. LNG holds great potential for reducing the carbon footprint of maritime transport, however, distribution networks and port infrastructures for the bunkering of LNG-powered ships require technologies and solutions with a high level of safety in touristic areas, avoiding trade-offs between environmental protection and the safety of passengers and personnel. SUPER LNG aims at providing a uniform framework to support the implementation of technical systems for the distribution and supply of LNG in port areas in the Adriatic and Ionian region. If you want to know more about the event visit the official website at https://europa.eu/regions-and-cities/home_en.